Moving into a new house, condo, or apartment is exciting. 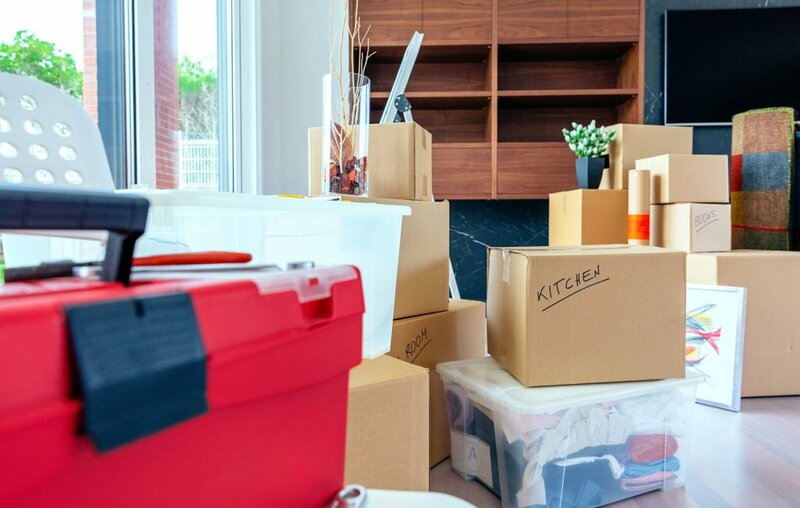 But whether you’re relocating across town or across the country, packing up your belongings takes planning, preparation, and plenty of elbow grease. Here are 12 tips to help your moving day go smoothly. Your move doesn’t end once the boxes and furniture have arrived. It can take weeks to unpack and organize your new home. Save yourself the added stress of wondering where the closest grocery store is by learning as much as you can about your new neighborhood or hometown before you arrive. Researching school districts, public transportation, shopping, banks, fitness centers and hospitals will ease the transition as you settle into your new home. From the utility company and cable provider to friends and family, plenty of people will need to be notified of your change of address. To avoid confusion caused by missing mail, take a few moments to make a list of everyone who needs to know about your move. Then give them at least two weeks’ notice. For a small fee, you can also have the post office forward any mail to your new address for up to a year. In addition to organizing your mail delivery, you’ll need to keep track of plenty of other move-related information and paper-work. It can be helpful to create a moving binder to store everything in one place. Then, there’s the huge task of packing up your worldly possessions in preparation for moving day. 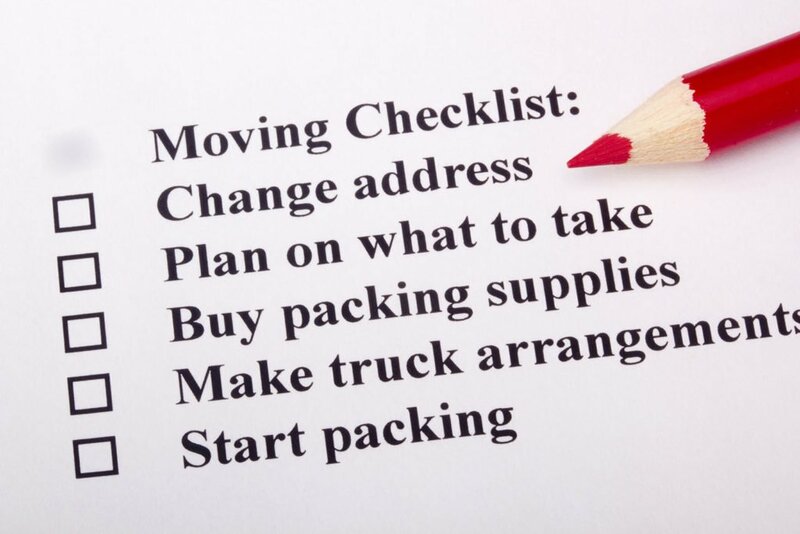 To avoid feeling overwhelmed, create an itemized ‘to-do’ list for the weeks leading up to your move. This is a great opportunity to purge unnecessary papers, unused or broken household items, and clothing that you no longer wear. If it’s too much to tackle on your own, don’t be afraid to ask friends and family to lend a hand, or hire a professional organizer. If you are only moving a short distance or are packing up a small apartment, your move may be as simple as renting a truck and gathering some friends to help. But if you’re relocating your entire family or are moving long distance, you’ll want to hire a moving company or use mobile storage units to get everything safely from point A to point B. Whatever you choose, make sure to have a plan in place. Don’t wait until the last minute to organize your storage solution or moving company. And make sure you know where they can place your storage unit or park their truck. If you are relocating to an apartment or condominium, check the moving policy in advance. Some don’t allow move-ins after hours or on Sundays. Then, get packing. Whatever you don’t need on a daily basis can be boxed up right away. Leaving your packing to the last minute is the fastest way to add more stress to your move. Having to make extra trips to move your belongings costs time and money. It’s best to make sure you have the right sized truck or mobile storage unit to transport your possessions in one go. 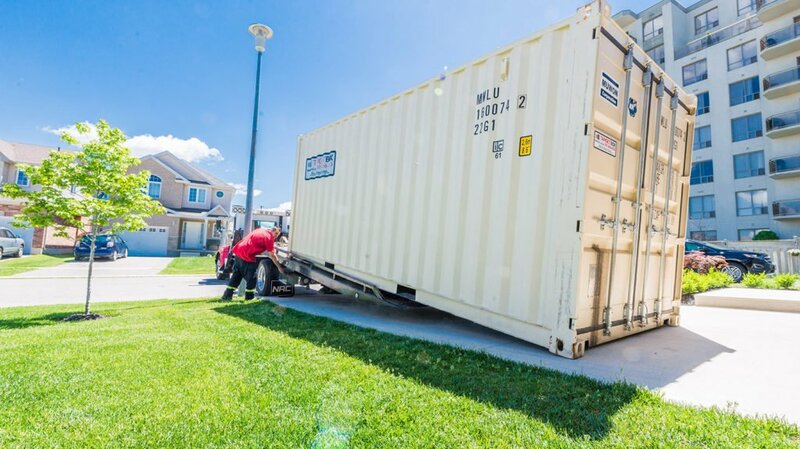 In general, the contents of most one-bedroom apartments, condos, or homes will fit in an 8’x10’ Target Box moving container, while an 8’ x 20’ container is large enough for most two to three-bedroom homes. If that’s still not enough space, our largest portable unit – 8’ x 40 ‘– should do the trick. Your storage unit or moving company should be able to help you determine the size you’ll need for a quick and efficient move. Many people forget to calculate the costs associated with moving house. In addition to renting a mobile storage unit or hiring a professional moving company, you may need to purchase moving supplies like boxes and packing materials. If you’ve purchased new appliances and furniture, there may be fees associated with delivery, assembly, and installation. And if you’re moving into a high-rise, you may have to pay a deposit to book a service elevator. Having the right packing materials on hand can help ensure that everything arrives in your new home in one piece. Fragile items like dishes, figurines, or crystal, should be individually wrapped in paper or bubble wrap, or packed in special boxes to ensure safe transport. Don’t forget to label these boxes as fragile so your movers will know to take extra care. Cardboard boxes can often be picked up at no cost from your local grocery store. Or consider renting reusable plastic moving boxes that can be delivered and eliminate the need for assembly or tape. Remember to get a variety of sizes, and don’t overload a single box with too many heavy items. If you’ve got luggage that needs moving anyway, it can be used to transport clothing to your new home. Pack any valuables together and keep them with you. If you have boxes that you want to move yourself, set them aside and let your movers know. It’s a good idea to pack room by room and to clearly label your boxes as you go – either by writing on the outside of each box or by using a color-coding system. This way, your movers will know where to place each box in your new home – and you’ll know where to find your towels, cookware, toys, and clothing. After a day of moving, you won’t want to be opening boxes looking for life’s little essentials. Prepare a moving day survival box with things like your kettle or coffee maker, toiletries, bottled water, snacks, and anything else you just can’t live without. Include a take-out menu from your favorite restaurant. Pizza is almost a moving day tradition! You may also want to include things you may need on moving day, like garbage bags, light bulbs, cleaning supplies, and toilet paper. It can be difficult to remember where all those wires and cables go, so take a few moments to photograph your electronics before you unplug for the move. Empty and remove any dresser drawers to make them lighter to lift, and disassemble any bedroom sets in advance to save time on moving day. Pack (and label) and ‘Open First’ box. This will be the last thing to go on your moving truck or into your mobile storage unit, and the first one to come out. It should contain anything you’ll need to make your first night in your new home comfortable, including sheets, pillows, towels, a shower curtain (if needed), pajamas and a clean set of clothes, as well as a few plates and utensils. Moving day will be a long day, even if you’re well-prepared. So, before you start unpacking make sure to assemble and make your beds. That way, they’ll be ready for a restful first night’s sleep in your new home. Moving Yourself or Hiring a Moving Company? As a family owned and operated business, TargetBox is proud of its commitment to top-quality service and unparalleled customer care. Our motto is: Aim for simple storage! and we look forward to simplifying your storage and moving needs. Storage Units starting at $100 / month. Be the first to receive our latest deals, promos, blogs! Sign up to receive occasional updates.